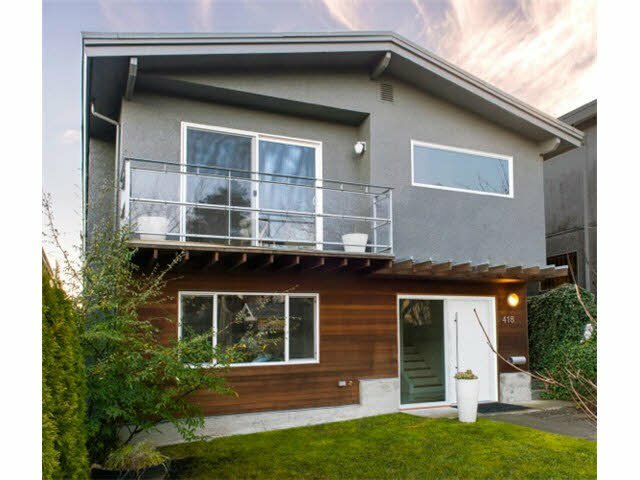 Stunning, open & modern Vancouver Special on a fabulous block in the Main St. neighbourhood just down the street from Livingstone Elementary, park & tennis courts. Beautifully, thoughtfully & completely renovated (with permits) over the pas t 7 years to brilliantly accommodate a growing family & entertain guests. Bright, spacious rooms, stylish kitchen w/Jenn-Air appliances & bamboo cupboards opens to a sunny deck & living/dining areas with gorgeous hardwood floors, a wood burning fireplace & beautiful views. Lower level features a family room, 2 extra bdrms, a full bath & den - lots of flexibility. Big 4,203 sq ft lot just a short stroll to great food, coffee & shopping on Main.